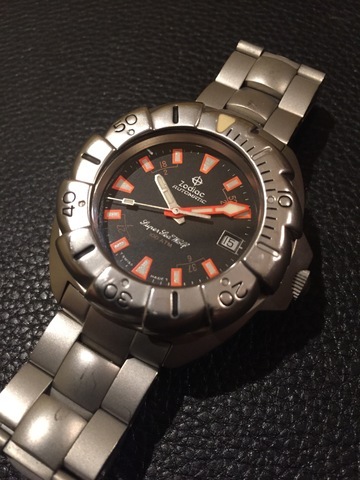 Zodiac Super Sea Wolf, what's a good price? 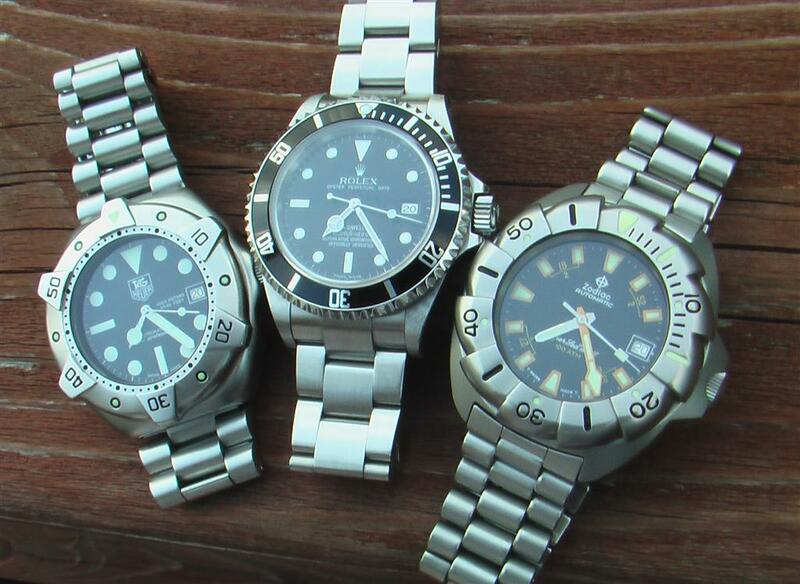 The one with the crown at 3 and that amazing buzzsaw bezel. Anyone know what to expect for one in decent condition with box and papers? They are pretty scarce now - don't see them much on sales forums. I would say if you get one in good shape with the leather kit, expect anywhere from $1800 to $2000. There are two styles of bracelets and accent colors - the newer style looks like this - with the reddish-orange writing and has more of a shell shaped bracelet link - this is mine that I bought from TKite. The older style has more yellowish-orange writing and a more Tag Heuer SuperPro style bracelet - here's mine that I bought from Bill Bartlett - that I sold a long time ago. You can find the older and newer versions without the kit for around $1000 to $1500 in decent shape. 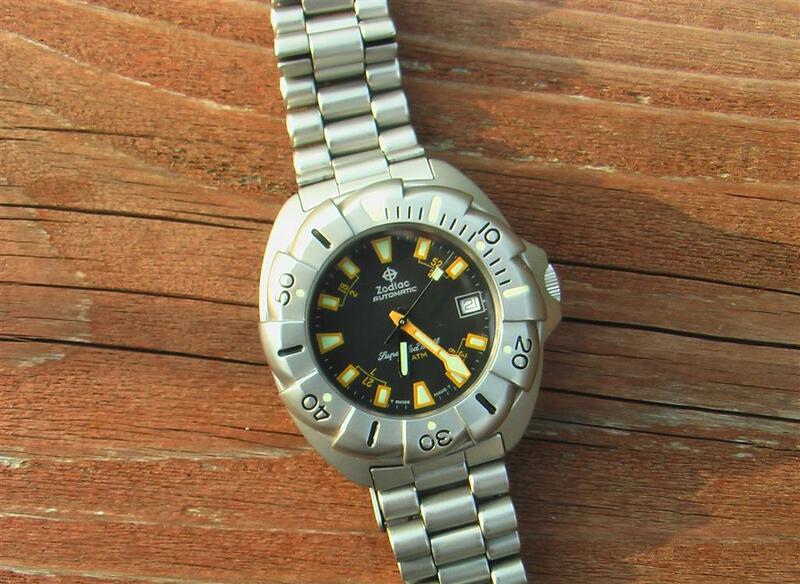 Cool vintage diver for sure. Thank you! I initially check ebay for these things but there aren't many listings for the vintage models, just the modern models. I think that the vintage models have better appeal. A reissue of this one would be so nice! I'd be for that too, this one has also caught my eye. When it comes to Zodiac though I like their vintage stuff before whatever fashion brand took it over and borrowed on the brands heritage. 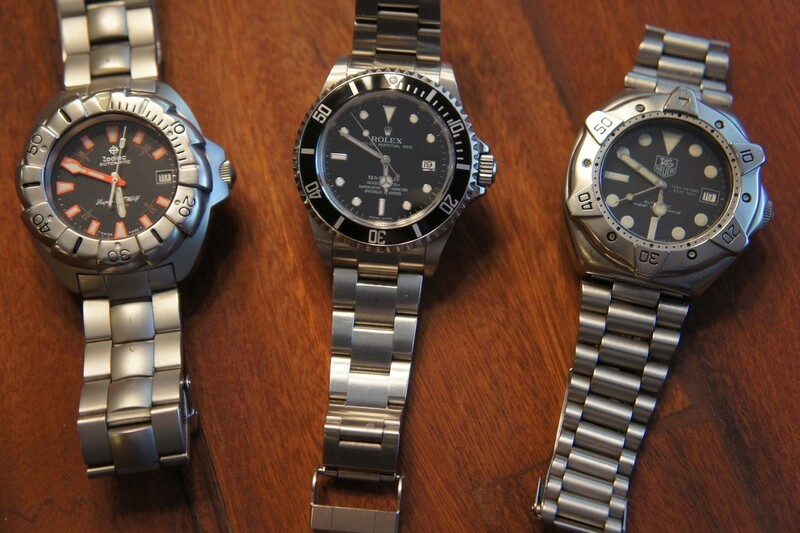 :( They could do a re-issue really well but some of the other watches I've seen from them looked like they were hand painted by a kindergarten class. Last edited by Kevin M; 12-05-2018, 09:15 PM. That's pretty ugly - I don't care for their re-issues too much so far. That one I sold Mike is a tank, and so much nicer than the earlier versions in my opinion. I had the buzz saw, as well as the predecessor Super Seawolf similar to their current re-issue. Like T says the buzz saw was a tank. 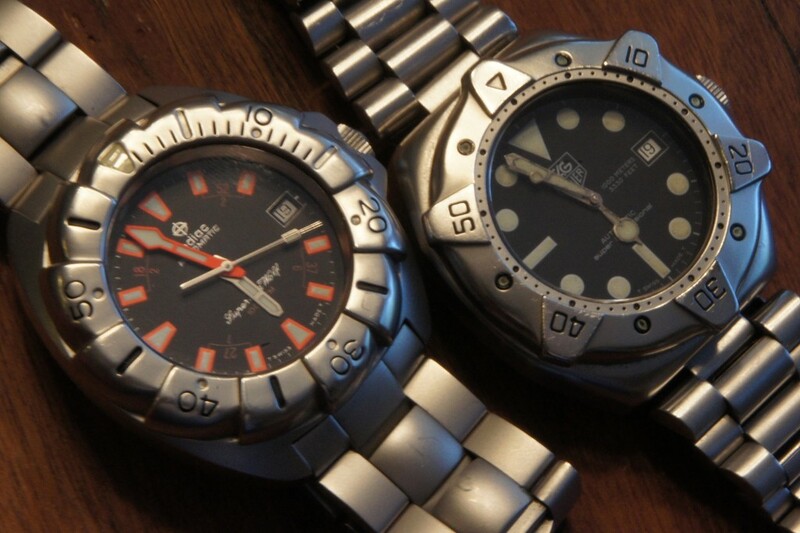 It was very similar to, almost interchangeable with the Heuer 1000m (a friend had one): same case, great basic design. I guess they just didn't sell. On the re-issues of the Seawolf, I like the funky color. But then I came of age in the early 70's when there was a lot a funky colored watches. I like funky colors and grew up in the late '60s and early '70s too. I just don't care for that particular combination, but some of the others are cool. I had the Tag Super Pro, and sold it - the crown was loose and I couldn't deal with that on a 'professional' watch. 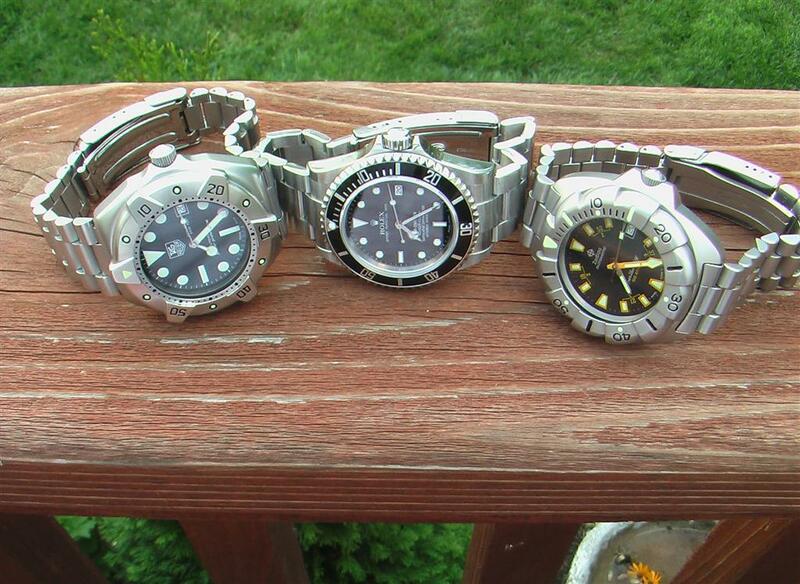 Next up was a Sea Dweller, then sold that, then the SSW, then sold that to Mike. 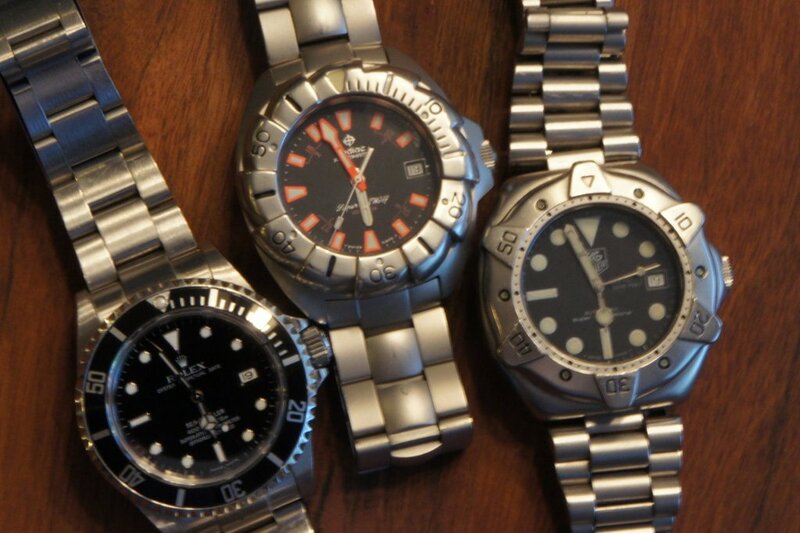 Now I am back with a Sea Dweller (3rd one), and not selling it that I can see. 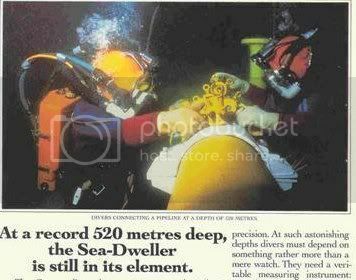 Well they are all designed for commercial diving. 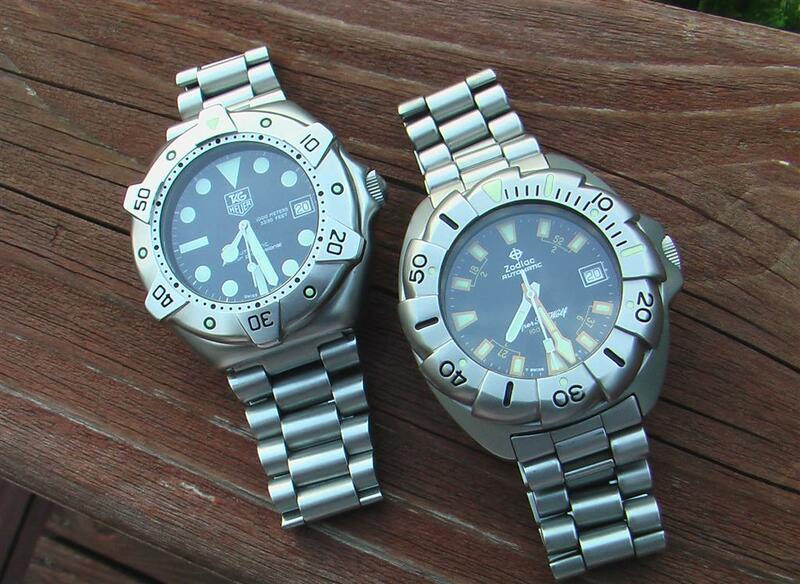 The guy who designed the Heuer Super Pro also designed the Super Seawolf according to a talk I had with zodiac years ago.